A team representing the United Nations Educational, Scientific, and Cultural Organization (UNESCO) and the Chinese government visited WKU this week for fieldwork and to discuss cooperative research under way to study atmospheric carbon dynamics. Chris Groves explains details of groundwater monitoring equipment to Chinese scientists within WKU-owned Crumps Cave. 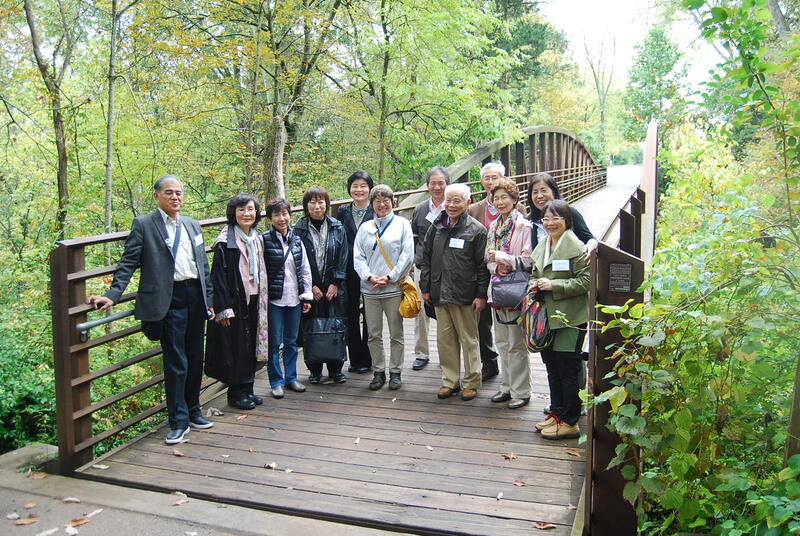 The group, which included scientists from UNESCO’s International Geoscience Program and the Chinese Geological Survey, visited sites at the WKU-owned Crumps Cave Educational Preserve and Lost River Cave. Research is under way there, with sister sites in China, to measure rates at which atmospheric CO2 is consumed by the dissolving of limestone in the world’s karst regions, which are areas like in south central Kentucky where caves, sinkholes and underground rivers are common. Rapidly changing atmospheric concentrations have been linked to increased rates of climate change, and so much work is underway to understand ways in which CO2 is being added to, or subtracted from, the atmosphere… Read more on the WKU News Blog!